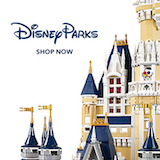 Transportation News - DVCNews.com - The essential Disney Vacation Club resource! Add the Skyliner gondola system to the list of new openings planned for late 2019. The Friendship water taxis operating in the Epcot resorts area are headed for some downtime in November and December. Beginning November 8, 2018, cars will follow a new route to arrive at Disney's Hollywood Studios. As Walt Disney World continues to tweak its Minnie Van transportation service, the flat rate pricing model has been eliminated.